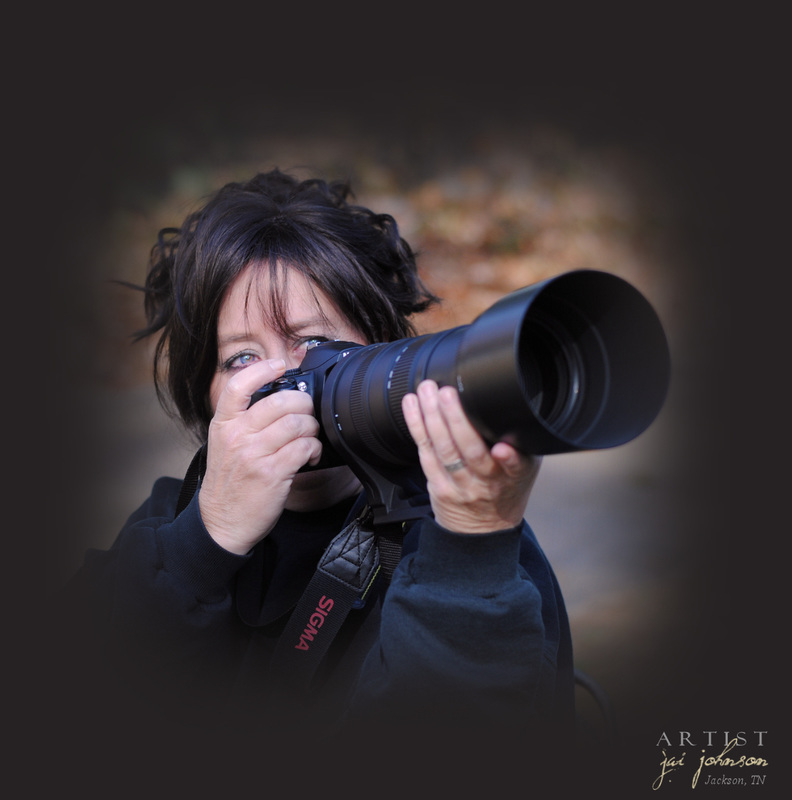 Jai Johnson is a wildlife and nature photographer from Jackson, Tennessee. She spends her days capturing the beauty of the birds of the area, ranging from songbirds to shorebirds to birds of prey. She also photographs wildlife, country scenes, beautiful flowers and more. Jai began her photography at a very young age, after receiving her first film camera as a gift for her thirteenth birthday. Gone are the days of the old Kodak Disc camera she began with, trading in film for digital many years later. Jai's photography gear to capture her magnificent photos of our feathered friends currently consists of a Nikon D7100, two Nikon 300mm lenses, a Sigma 500mm f/4.5 lens, a Sigma 150-500mm telephoto lens, a Sigma 400mm f/5.6 lens, a Nikon 50mm lens, and a Sigma 18-250 lens. Here on WildBirdPhotographs.Com, we feature photos available as high-resolution stock photos, along with photo prints and gifts for collectors. We also invite you to visit Jai's art site here, where you can view her photos after her artistic transformations are complete. Photographs © Jai Johnson, Jai Art.Com, All Rights Reserved. Contact Us With Licensing Inquiries or See All Stock Photos Here.